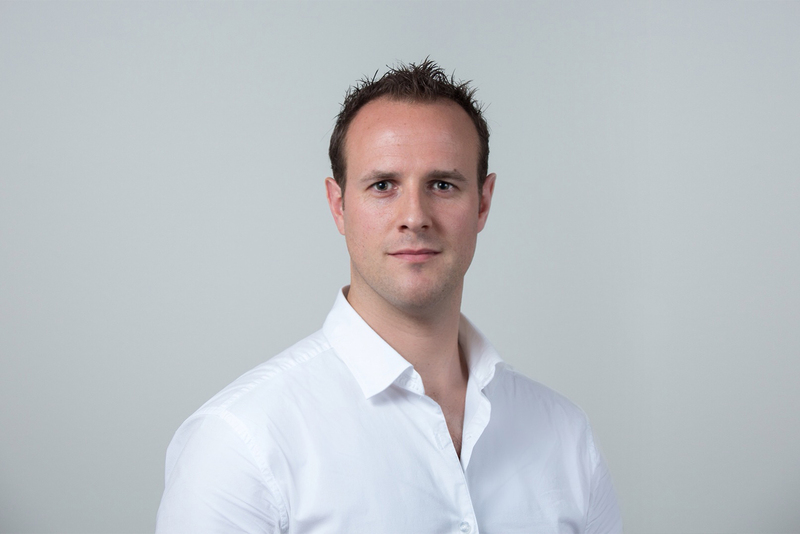 February 27th 2014: Leading human-centered design and digital development company Vivant today announced the appointment of Mark Nickson as User Experience (UX) Director. Mr Nickson is an accomplished digital strategist and user-centric designer. He has over 15 years experience crafting innovative and immersive solutions for the web, mobile and social. He joins Vivant from Westpac, where he was Senior Manager of Customer Experience and Digital Design. Vivant is the creator of world-first mobile technologies for clients such as Commonwealth Bank, Qantas and RP Data. Last year it launched start-up arm Vivant Ventures to identify and develop the most promising new ideas in business, in partnership with M.H. Carnegie & Co.
Anthony Farah, Founder and CEO of Vivant, said that Mark’s appointments would underpin the next stage of the company’s growth. Most recently Mr Nickson was the design lead for Westpac’s mobile proximity payments app; designing and delivering Australia’s first Android based embedded secure element solution. He has also helped design products and services for Microsoft, McDonalds, Disney, the Canadian Government, and the Canadian Military among others. He was part of the team that designed HSBC’s TV Banking interface, as well as helping to conceptualise their early mobile banking experience. He has worked in the UK, US, Canada and Australia. Vivant is a human-centric design and digital development company that helps leading brands bring great ideas to life. Vivant has created world-leading digital and mobile solutions for some of Australia’s most recognised organisations, including Commonwealth Bank Australia, QANTAS and RP Data. With offices in Sydney and London, Vivant is an ideas lab staffed by a multi-disciplinary team of technology experts, creative thinkers and business strategists. For more information visit: www.vivant.com.au. 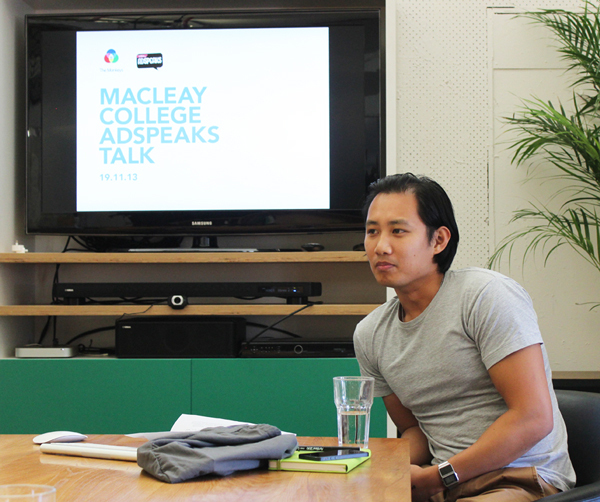 Thursday, 20 February 2014: Independent education provider Macleay College is today announcing the line up for this year’s Adspeaks program – a series of talks by industry experts about the ever-changing advertising landscape. Adspeaks was launched by the Advertising department in 2013 and will once again be held at the school’s Surry Hills campus throughout February, March and April. The series kicks off on Monday 24 February with Glen Fraser, principal of Third Eye Consulting. Mr Fraser will discuss the future of the Ad Agency and whether they’re required in the modern world. He has over 25 years’ experience in the advertising, marketing and communications industries and has worked as the CEO of Y&R Brands and Euro RSCG Australia. This year’s program also features Group Marketing Director at SBS, Katherine Raskob, who will highlight market-targeting tactics from broad reach to niche markets and the personalisation of broadcast marketing. Ms Raskob has more than 15 years experience in consumer marketing across a variety of entertainment and media industries with expertise in strategic, multi-platform marketing. Other key speakers include Alex Roberts, Advertising Director at FINCH, who will talk about new technologies in advertising and Sydney-based typographer and artist Gemma O’Brien. Advertising program leader, Ian Thomson, said the success of the first Adspeaks series last year has set the scene for a successful program in 2014. “The knowledge shared by experienced marketers last year provided our students with a deep understanding of the fundamental skills required for modern day marketers,” he said. “In an industry that’s constantly evolving, keeping up-to-date with new strategies and approaches to advertising is vital”. Last year’s Adspeaks speakers included Profero creative director Matthew Delprado, Leo Burnett, Sydney Planning Director Caroline Ghatt, Art Director from The Monkeys, Robert Concepcion and Group Planning Director for Chanel from Mindshare. About Macleay College: Macleay is Australia’s premier independent college, with a focus on making careers happen. The college arms students for job opportunities in the real world by providing the latest industry skills and education, connections and practical work experience. Macleay offer accelerated journalism and business degrees as well as industry-led diplomas. Business courses are developed around specialist interests such as real estate, event management, sports management and travel and tourism with entrepreneurial courses also part of their unique offering. They also offer a comprehensive advertising diploma. Macleay’s tertiary courses have an emphasis on multi-media qualifications, and offer students a hands-on approach, which ultimately helps fast track their career within just 12 months. The boutique college has a primary campus in Sydney and a Melbourne campus, which specialises in journalism education. Australia, 3 February, 2014: With one in ten children being diagnosed with anxiety in Australia[i], a local start-up has launched today to address the rising issue: Fishwah. The innovative online tool is a world first, providing a system inspired by therapeutic techniques for families to manage and reduce anxiety for primary school aged children. A behavioural change tool, Fishwah helps kids build confidence to achieve real goals – from academic to special needs, to overcoming worries, fears and anxiety issues. Based on the fundamental principles of exposure therapy, the online platform provides the structure to break issues into manageable steps, with a reward based progress system, and also offers tips and strategies to empower mums and dads. The Fishwah founders, parent-preneurs Natalie and Stephen Byrne, said they developed the tool in response to discovering their son had anxiety issues and there was limited access to the right kind of help. “Four years ago we learned that our son was suffering from anxiety issues, and we found there were no easy-to-access, hands-on, achievable programs for families to combat it,” said Co-founder Stephen Byrne. Co-founder Natalie Byrne said: “A lack of confidence is a significant issue for kids and can end up holding them back – which I don’t think any parent wants for their child. “Fishwah is breaking down access barriers with a new digital approach to traditional therapeutic techniques. Essentially we’ve taken the principles of the successfully proven exposure therapy, which is all about breaking down fears into graded steps, but we are making it digital. Fishwah is based on the proven principles of exposure therapy with structured goal setting, but offers an online option for helping 5-12 year olds with their personal development and growth. The behavioural change tool brings parents and children together to help kids gain confidence and achieve goals, including those focused on overcoming worries, fears and phobias. The digital platform provides the structure to break goal setting into manageable steps with a system for rewarding progress, plus it offers great tips and strategies that empowers mums and dads. Attendees have until Friday 28 February to submit their application for one of the 2,250 seats. Successful applicants will be notified via email on 3 March 2014. The full day event will be held within the Concert Hall of the iconic Sydney Opera House on Saturday 26 April and, as� with the four previous TEDxSydney events, the full day of programming will blend talks and performances with interspersed “tasty video bits”. On the programming front, our curatorial teams (talks, performances and video), led this year by Editorial Director� Edwina Throsby, are working hard to make sure that attendees are delighted, challenged and inspired. For 2014, food will once again be closely integrated with the day’s proceedings. Last year’s event included talks by anti-poaching crusader� Damien Mander;� Ron McCallum, who reflected on technology transforming blindness;� Joost Bakker, the horticulturalist and entrepreneur; Julian� Assange� and Benny Wenda’s lawyer,� Jennifer Robinson;� Alice Gorman, the space archeologist, plus a performance from beat-boxer� Tom Thum. Thum’s performance has generated over 11 million views on YouTube and is the highest viewed performance in TEDx history. Remo Giuffré, TEDxSydney Licensee, said: “We are excited to be opening up applications for TEDxSydney 2014.� Once again, it is shaping up to be quite a day� and we look forward to sharing it with the TEDxSydney community. “We’re expecting a large number of applicants this year based on the event’s popularity in 2013 – we had over 35,000 watching last year – so, I encourage enthusiasts to jump online and submit an application as soon as possible. Live attendance costs $250 per person and delivers a full day of talks and performances, food and beverages, a goodie bag and an invitation to the after party. About TEDxSydney:� TEDxSydney is an independently organised event licensed from TED by longtime TEDster, Remo Giuffré (REMO General Store) and is organised by a network of fellow thinkers and other long time collaborators. For a full listing of 2014 organisers see TEDxSydney.com. TEDxSydney is made possible by the generous contribution of its partners, sponsors and volunteers. Please direct TEDxSydney 2014� partnership enquiries to Felicity Fellows or Kate Dezarnaulds via the contact page on our� website. About TEDx: In the spirit of ideas worth spreading, TEDx is a program of local, self-organised events that bring people together to share a TED-like experience. At a TEDx event, TEDTalks video and live speakers combine to spark deep discussion and connection in a small group. These local, self-organised events are branded TEDx, where x = independently organised TED event. The TED Conference provides general guidance for the TEDx program, but individual TEDx events are self-organised. About TED:� TED is a non-profit organisation devoted to Ideas Worth Spreading. Started as a four-day conference in California 30 years ago, TED has grown to support those world-changing ideas with multiple initiatives. At TED, the world’s leading thinkers and doers are asked to give the talk of their lives in 18 minutes. Talks are then made available, free, at TED.com. TED speakers have included Bill Gates, Jane Goodall, Elizabeth Gilbert, Sir Richard Branson, Benoit Mandelbrot, Philippe Starck, Ngozi Okonjo-Iweala, Isabel Allende and former UK Prime Minister Gordon Brown. Two major TED events are held each year: The TED Conference takes place every spring in North America (along with a parallel conference, TEDActive), and TEDGlobal is held each summer in another part of the world. 2014 will be held in Rio de Janeiro. 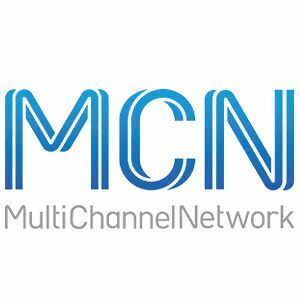 Tuesday, 4 February 2013: Multi Channel Network (MCN)’s competition hub, TV WINNERS, has launched a complete rebrand and rebuild to expand audience engagement and deliver additional opportunities for advertisers. TV WINNERS is dedicated to providing advertisers with a simple and cost-effective platform to run consumer promotions. The new TV WINNERS platform allows advertisers to deliver their campaign across multiple screens and achieve audience engagement, capture key data, build brand loyalty, plus increase online, social and even retail traffic. The relaunch will be bolstered by a new membership drive, an updated design, an expanded social footprint, a dedicated mobile site and new client packages to increase deliverables and engagement opportunities. Over the last seven years, TV WINNERS has hosted 255 advertiser promotions, attracting over 1.2million entries, all competing to win almost $1million worth of brand funded prizes. The MCN Multiply team together with the new TV WINNERS hub has the capability to deliver any type of competition such as Game of Chance or Game of Skill, with entry mechanics like simple Text, SMS, Unique Code, Proof of Purchase, Video / Photo uploads, and Multiple Choice options. Through the use of bespoke creative and targeted media placement across MCN’s portfolio, TV WINNERS can effectively reach any target audience for the promotion. The new-look site will be launched with two promotions for Universal Pictures’ movie releases – Last Vegas and Endless Love. As part of the launch, MCN are running a TV WINNERS competition targeted to brands and agencies. Simply experience the site and be in the chance to win the ultimate multi-screen prize. The TV Winners rebuild has been delivered in partnership with MNET, AIRBORNE and Captiv8.